First things first – Ulver’s album is stunning – an aural adventure to get lost in. A droning dark masterpiece of groundbreaking music that slithers out of dull and boring stuff like categories. 23 years in and the band are on the verge of becoming a major force like the aforementioned Neubauten or the Swans or Sunn O))). They will no longer be operating in the shadows. ATGCLVLSSCAP is their statement. It’s diverse, multi faceted and beautifully dark. It’s the soundtrack to a film that only exists in your head. It is grand, thrilling and darkly restless. It has a beauty and danger and is utterly compelling. Secondly – Oh stop your moaning about rock being dead and that everything has been done. You obviously don’t listen to anything apart from your old records. There is so much ground being broken, remoulded and reimagined that it’s time to embrace the future that is already here. 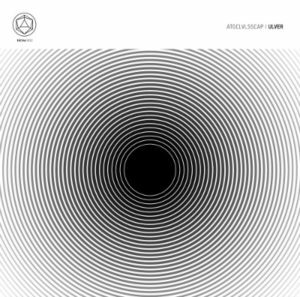 Ulver (their name is Norwegian for Wolves) are yet another thrilling, ground breaking musical cabal who are creating music on their own terms. They have broken free from the trad rock career and go where they went and the result is this stunning album. Built around Kristoffer Rygg (learn that name now – another byword for boundary breaking musical mastery) Ulver are one of those bands that operates beyond the natural law. Their birth scene of Black Metal may have been sullied as the ultimate and darkest of all rebel musics with its confusion of ideologies and death fixated madness surrounding some quite brilliant music but it was also a springboard for Norway’s idiosyncratic and brilliant current micro music scene. Like the way Wardruna have somehow kept that melancholic sky of black metal and yet forged into their Norwegian wood Viking folk, Ulver have done the same but in their own direction. They have been in existence for 23 years since their early days as a black metal folklore influenced band like on their debut Bergtatt before flowering into a multi faceted force that takes the very earth and soil and experimental attitude of seventies fringe music like krautrock and old sound track and reapplies it to a very 21st century skin and creates an atmospheric, moving and moody soundscape music that sounds new. Once they had got the black metal out of their system they kept the melancholic atmosphere of the form but moved into electronics and drones which have peaked brilliantly on their new ATGCLVLSSCAP double album set. ATGCLVLSSCAP is a double album. A14 inch vinyl journey that is steeped with a music so powerful and hypnotic that it changes the way you listen. It is, as Lemmy once so memorably described Hawkwind – a black nightmare. I was lucky enough to see Ulver live a couple of years ago playing live to a 1000 people in Oslo. It was not a conventional gig but a stunning multi media million ideas show that created a dark and thrilling atmosphere with a music that was utterly original and a long way from the band’s moribund yet ferocious black metal roots. 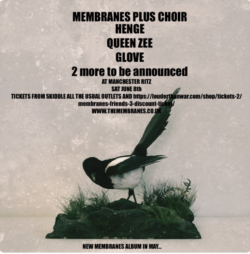 At the gig each song was on fire for a different reason – there was those Neubauten soaked blues – that kind of industrial approximation of the old form, there was neo techno there was feral drones and still a bit of rock music in there but dealing in the dark stuff. The nocturnal stuff. From this point onwards the band have not stopped exploring. There was the astonishing joint record with Sun O))) that was ostensibly a drone workout but was closer to Miles Davis Sketches Of Spain in parts or soundtrack – that is the beauty of Ulver you just don’t know what you are going to get and you get the feeling that they don’t know either creating a music that is instinctive instead of cynical. The new album works on this premise – some of it is improvised – a lets play and see what happens- sketch out the future right now from their bare hands. These improvisations can be rock or electronic or both- whatever instinctively feels and sounds right- this kind of music making can be. A mess in the wrong hands but in the right hands it’s a gladiolus glorious experience. Their specific way of working – that jamming and editing have created this music that works on its own special mojo. After the jams and live workouts band member Daniel O’Sullivan who joined Ulver in 2009 takes charge of the multitrack recordings, sculpting and editing hours of material in his North London enclave formerly owned by charismatic artist and Coil associate, the sadly departed Ian Johnstone. You can feel the connections between Coil’s smouldering genius and Ulver – the putting the human back into the machine of so called industrial music and it’s this seam between rock, metal, industrial, experimental, neo folk, electronic etc that sees so much great stuff pouring forth like from some volcanic seam on the Pacific ridge. Even their press release makes your mouth water – describing some of the album tracks as ‘the fiery mantras of ‘Om Hanumate Namah’ and the motorik drive of ‘Cromagnosis’ draw an astral trajectory between the propulsion of Kraftwerk/Neu! and the ritualistic intensity of prime Amon Düül II, whilst the spirits of both Klaus Schulze and John Carpenter are audible in the electronic soundscapes of ‘Desert/Dawn’, not to mention the Bernard Herrmann touch in the closing ‘Solaris’. Even when the band revisits an earlier gem from 2000’s Perdition City album, as on ‘Nowhere (Sweet Sixteen)’, its reinvigorated by their expansive and emotionally charged approach. True! Gorgeous Album! Hail those Wolves! After Shadows Ulver started a dive that fall has not stopped and new album is again a disappointment. It is sad to see that they have stopped evolving and not really doing anything new anymore. Bands should not rerecord or remake their old stuff and that is what’s makes this album a miss. Some people seems to like a lot ATGCLVLSSCAP and i just hear band that just toys and ruins their legacy. Rearrangements are not here better than original ones and now we have this mess with classic songs messed up to this mess. This live jazzing things up mess started on Roses tour and seems that there is no stopping. There was some interesting ideas on Roses, but then band went to different direction and keeps on going. Since 98 or 99 i have been a fan, but now it seems to be time to stop supporting Ulver. All this recycling old stuff and jamming around it is just lazy way to rip fans off. More that i listen ATGCLVLSSCAP, more stronger it feels that this album is just a joke, or bad experimentation on fans detriment. Lost in moments – what a weird and rather a harsh comment! “Not evolving”?? ?… this album is TOTALLY different to Roses, Shadows, Blood Inside, Perdition or ANYTHING the band has done before – so how you can’t hear the ‘evolution’ you are clearly looking for is very unclear. Plus… if you don’t like the sound of it then just DON’T BUY IT. It’s not a ‘rip off’, a fraud or a swindle for ANY band or artist to make a record that you personally don’t like…it’s called ART. You have a choice as a customer to buy it or not. I have been listening to Ulver since the early days and I remember comments just like yours when Shadows first came out.